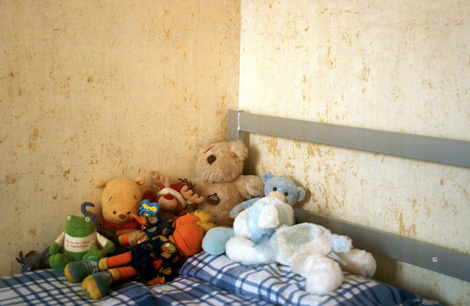 The Government's targets on reducing child poverty are deeply flawed. So claims Rethinking Child Poverty, a recent policy paper from the Centre for Social Justice (CSJ). And I have to agree that this highlights a classic example of how not to measure actions and outcomes. The headline target within the 2010 Child Poverty Act relates to the percentage of children in families whose income is below 60% of the national median. (This is a simplification, the detailed definition within the Act is impossibly complex!) The problem is that defining poverty just in terms of income is very superficial; the real causes of child poverty and deprivation are much more deep rooted. Wrong measures and wrong targets produce wrong actions. In this case, they encourage financial responses to problems that really need social solutions. We are - fortunately - not in the Third World where basic food and medicine are lacking. Here, there is ample evidence that children's life chances are often not improved just by giving their families more money. CSJ advocates redefining financial indicators, and also going beyond these to track poor parenting, unstable family structures, worklessness and other factors that cause poverty in this country. I fully endorse this approach; it follows the principle of improving outcomes by measuring and managing the factors that cause those outcomes. Where CSJ falls short is in measuring the outcomes themselves. If it's not just about money then how will we know when we have reduced real poverty - beyond the general reference to "life chances and opportunities" in the paper? ONS are developing measures of national well-being and quality of life, but this is a long-term programme which will address the population as a whole rather than the future for today's children. I can't offer an instant solution but can suggest some ideas. Firstly, some of it has to be about attitude. If we take the premise that those who succeed are generally those who want to succeed, then how great is that desire or ambition amongst today's young people? Has anybody asked them? Also, in an earlier blog I suggested measuring school performance based on the number of young people in employment, education or training (i.e. not 'NEETs') six months after leaving school. The aim must be to measure poverty reduction using indicators which encourage the right behaviours and actions – both from government and the wider community. Money may help in some cases, but the real solution to child poverty lies in creating a better environment and more hopeful future for all our children.